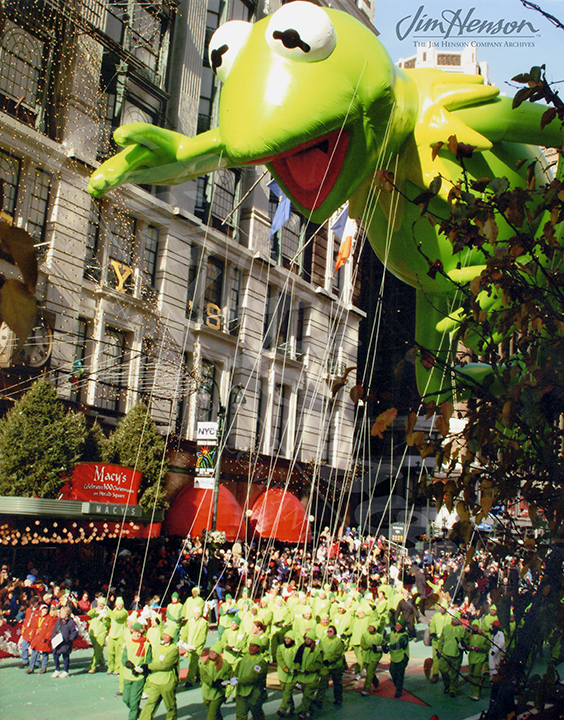 The 1975 Macy’s Thanksgiving Day Parade marked the second appearance of a Sesame Street float as part of this much beloved New York tradition. The Muppets from Sesame Street continue to join the spectacle each year on a float joined by the human cast and often in the form of giant balloons. Read about Jim’s enthusiastic participation in Macy’s annual parade here and here. 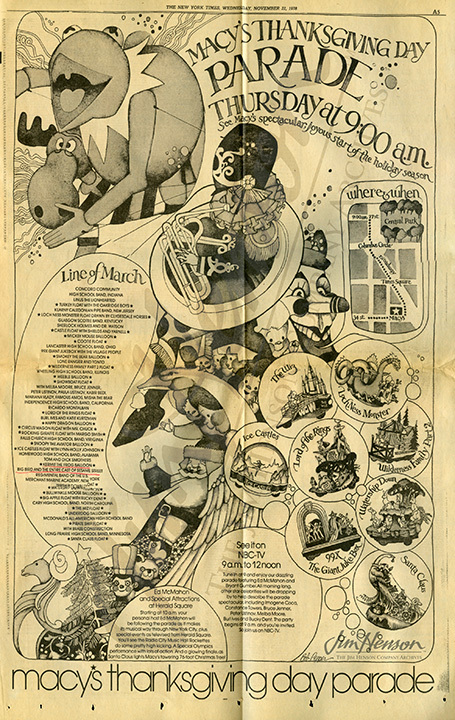 Advertisement for the 1978 Macy’s Thanksgiving Day Parade. 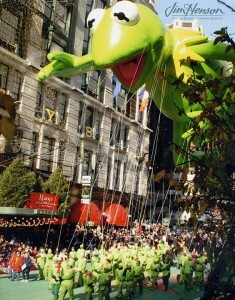 The Kermit balloon in the Macy’s Thanksgiving Day Parade. This entry was posted in 11-November '75, 1975, Appearances and tagged Macy’s Thanksgiving Day Parade, Sesame Street. Bookmark the permalink.